Guess what tomorrow is?? National Margarita Day! Ok it’s also National Sword Swallowers Day so if that’s more your style then …. Have fun? I’m not a huge drinker. It’s fun for celebrations but in general I don’t drink casually. When I have booze on the brain, however, you can find me with one of three things in my hand: a mimosa, vodka cranberry, or a margarita. Yes, I’m unapologetically a total girl when it comes to my liquor. National Margarita Day is phenomenal. It’s like Cinco de Mayo without the piñatas and sombreros. Actually, if sombreros happened tomorrow I wouldn’t be upset. A few bars in the city are having drink specials tomorrow so you can bet I’ll be there. 2014 has been a whirlwind so far and I haven’t had any time to take off work for a fun weekend. So tomorrow I’m letting loose with my bff tequila. 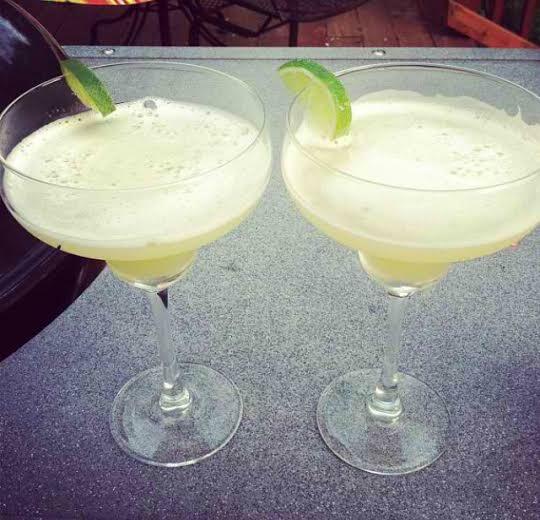 In preparation for the big celebration tomorrow I’ve done a roundup of some great margarita recipes. I hate it when bloggers share “National _____ Day” after the fact so you’re welcome in advance. Jessica from “How Sweet Eats” makes hands down the best cocktails so a few are from her lineup, as well as a few classics and one that my mom makes at every summer barbeque. Tequila might make us do some crazy things but it sure is delicious. These recipes make 1 drink unless specified. Enjoy! Okay so tell me…will you be celebrating? If not, what’s your favorite drink?